A collaborative research group led by Assistant Professor Ryoichi Arai and Ph.D. student Mr. Naoya Kobayashi at the Faculty of Textile Science and Technology, Shinshu University, achieved a world first by successfully developing self-assembling nano-architectures (e.g. 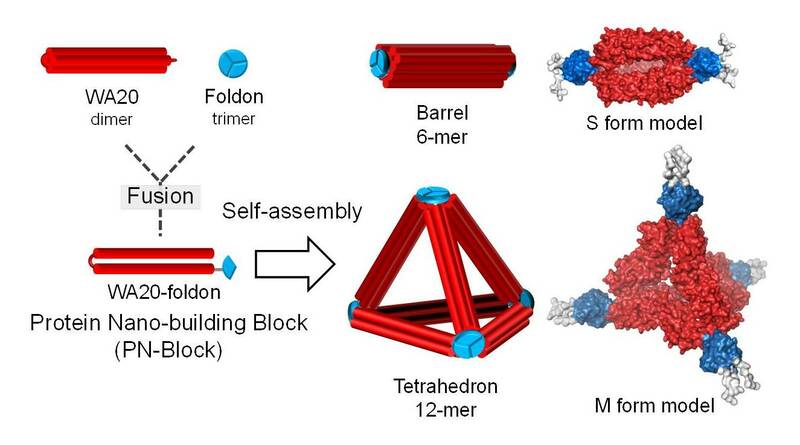 barrel- and tetrahedron-like structures) created from a protein nano-building block (PN-Block) using an intermolecularly folded dimeric de novo protein (Fig. 1). These results will contribute to future basic and applied research in the fields of protein engineering, nanotechnology, and synthetic biology. ・The world's first “protein nano-building block (PN-Block)” using an intermolecularly folded dimeric de novo protein was developed. ・Several types of self-assembling nano-architectures such as barrel- and tetrahedron-like structures were created from the PN-Block. ・The PN-Block approach can expect to be an advanced “molecular technology” originally from Japan to apply in the fields of nanotechnology, protein engineering, and synthetic biology. ・In the future, combinatorial design of several types of PN-Blocks can lead to the creation of artificial proteins with original structure and superb function beyond a natural protein. This research was performed as an interdisciplinary and international research project by a collaborative group of researchers, Assistant Professor Ryoichi Arai of the Institute for Biomedical Sciences (IBS) and Associate Professor Takaaki Sato of the Center for Energy and Environmental Science (X-Breed) at the Interdisciplinary Cluster for Cutting Edge Research (ICCER), Shinshu University, Mr. Naoya Kobayashi and Mr. Keiichi Yanase at the Interdisciplinary Graduate School of Science and Technology, Shinshu University, Assistant Professor Satoru Unzai at Yokohama City University, and Professor Michael H. Hecht at Princeton University. The results of this research were published as the cover article (Fig. 2, designed by N. Kobayashi) on the September 9 (2015) issue of Journal of the American Chemical Society (JACS), the flagship journal of the American Chemical Society and the world's preeminent journal in all of chemistry and interfacing areas of science. Furthermore, this paper was selected in Spotlights on recent JACS publications in the issue. A joint press release was issued by Shinshu University and Yokohama City University on September 14, 2015, and then the articles on this research were published in the Mynavi News website on September 14 and the Shinano Mainichi Shimbun newspaper on September 15. Journal of the American Chemical Society, Volume 137, Issue 35, pp 11285-11293, (2015). Fig.1:Self-assembling nano-architectures (e.g. barrel- and tetrahedron-like structures) are created from a protein nanobuilding block (PN-Block) by fusing a dimeric de novo protein WA20 and a trimeric foldon domain of T4 phage fibritin. 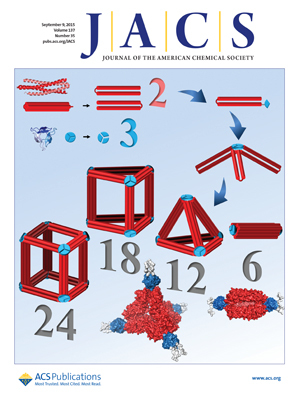 Fig.2:The JACS cover art on the issue, representing the research concept. The stable PN-Block nanostructures are expected to form symmetric oligomers regularly in multiples of 6-mer because of the combination of dimer and trimer.